You know what we love about winter vests? They’re cute AND practical—especially for travel. They’re lightweight so you don’t have to sweat to death in the airport, and, if you buy the right kind, have plenty of pockets for storing iPhones, Chapstick, maybe some tissues, and definitely every manner of item your kids pick up off the ground. 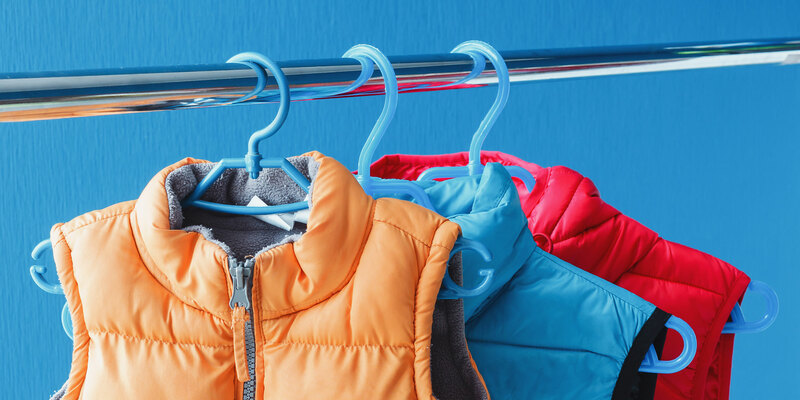 These are our picks for the best winter vests for moms. This winter vest has eight pockets, including a zippered exterior pocket for easy access to your phone or other important items. The ScotteVest NBT for Women is also wrinkle-resistant, making it especially perfect for vacations, and its lightweight material means you can wear it year-round. It comes in black, navy blue, and red. This lightweight puffer vest offers two exterior pockets and an interior zipper pocket. We love its simple design—and the fact that you can order it in just about every color imaginable! It also comes in a variety of patterns. Don’t want a high-neck vest? The Carhartt Women’s Sandstone Mock Neck Sherpa Lined Vest is the answer, with a mock neck area. It offers two front pockets and a zippered pocket at the top, and its faux shearling interior is both stylish and cozy. It comes in five colors: Burl Wood (light pink), Dark Brown, Woodland (green), Crab Apple (hot pink) and Coastline (pale blue). Looking for a fuzzy vest that can be worn with anything? Check out the ZESICA Women’s Sleeveless Zip Up Fuzzy Fleece. This faux fur-lined vest features a zipper closure and two pockets, and comes in four colors: Charcoal, Gray, Blue, and Plum. The Columbia Women’s Morning Light Vest is thick enough to keep you warm, yet light enough that you won’t get too hot. Its exterior dries extra fast, making it especially ideal for winter vacations. It has two zippered pockets in the front and comes in five colors: Black/Blue, Camellia Rose (hot pink), Purple, White and Black. 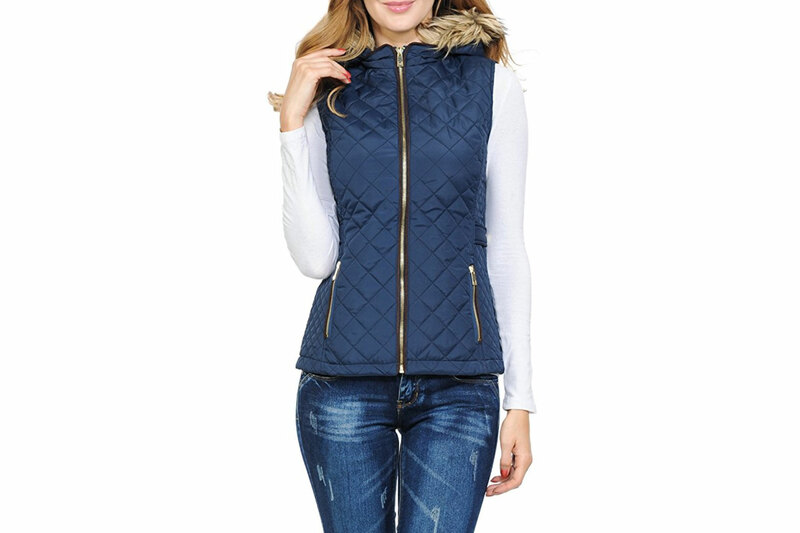 We can’t get enough of the Auline Collection Women’s Quilted Vest! This vest features a hood, fashionable gold zipper and buttons, and two zippered exterior pockets. It comes in 15 colors and is less than $30!